This year the NVGCT Spring Symposium took place on March 6, 7 and 8 at the conference center De Werelt in Lunteren. Given the celebration of the 20th anniversary of the society a 3-day program was prepared. 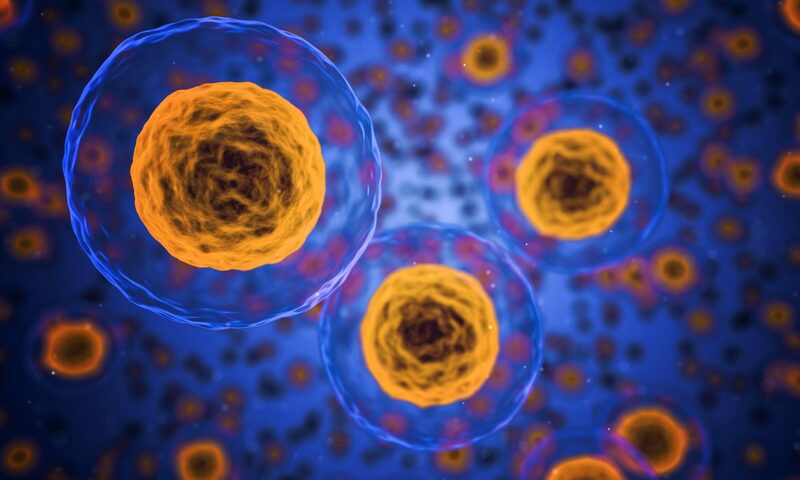 A total of 25 scientific presentations on gene and cell therapy were given. In addition, this year we had a special session on Advanced Therapy Medicinal Products (ATMP), a commemorative talk about the history of the 20 years of the NVGCT, the first NVGCT Outstanding Achievement Award, the first ESGCT best abstract award, the second edition of the ZonMw speed dating and the consolidated Greiner Award for the best thesis in 2018. We are now also available on Twitter (@NVGCTherapy) and the highlights of the NVGCT symposium were published under the hashtag #NVGCT2019. We would like to thank our sponsors Greiner Bio-One, ZonMw, Chemometec, Plasmid Factory, Propharma Group, Thermo Fisher Scientific, European Society of Gene & Cell Therapy (ESGCT), Lonza, Bio-techne, Biocair and AveXis for their generous support. During the first day, the ATMP session was held. Subsequently, we heard the presentation of the ZonMw Speed Dating Award of last year. They explained their experiences attending the ESGCT in Lausanne. 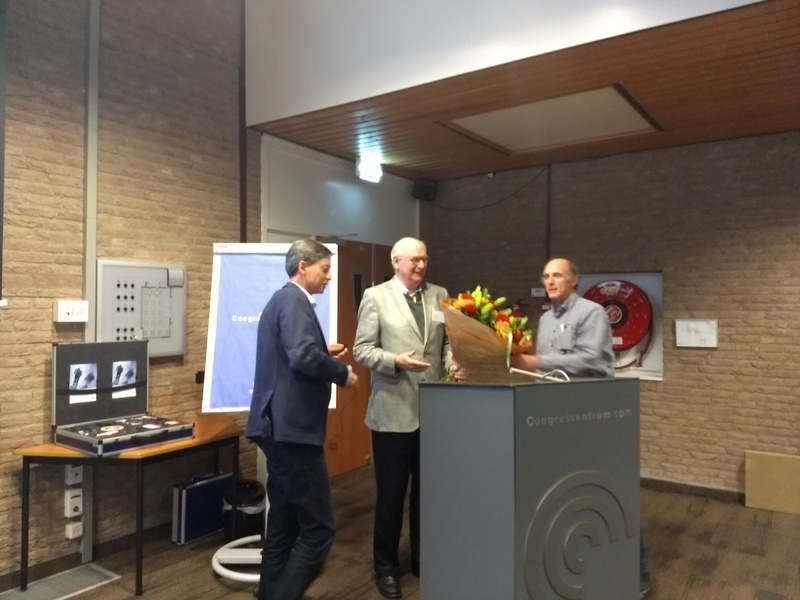 As the spring symposium celebrated its 20th birthday, we had a special presentation in the evening given by Prof. Rob Hoeben (LUMC), a former member of the board of the NVGCT. He gave an overview of how the field of gene therapy has expanded over the years, and what had been achieved so far. Afterwards, we celebrated these 20 years by having some drinks. Prof. Len Seymour (University of Oxford) receives the first NVGCT Outstanding Achievement Award from the president of the NVGCT Prof. Victor van Beusechem. The sessions on Oncotherapy, Cardiotherapy and Immune Therapy were scheduled during the second day. Furthermore, the second ZonMw Young Investigator Speed Date Challenge was very successful and ended up with the submission of 9 proposals. Prof. Len Seymour (Oxford) received the first NVGCT Outstanding Achievement Award for his trajectory in the field of gene and cell therapy. The day ended with the tradition famous NVGCT pubquiz that was won by the Blinded Monkeys team. The third and last day held the sessions on Gene Therapy and Genome Editing. Dr. Margo Dona was awarded with the Greiner Award for the Best thesis in 2018 for her thesis “Towards gene therapy for USH2A-associated retinitis pigmentosa” and we had the honor to have a keynote lecture by Prof. Matthew H. Porteus on genome editing. The three couples selected for the final round of the ZonMw gave a 5-min pitch on their collaborative projects. To close the meeting, the winners of the awards were announced. the winners of the second ZonMw Speed Date Award were announced. Heleen van der Veen (Utrecht University) and Alexandra Mowday (Maastricht University) won the 2nd ZonMw Speed Date Award; Ionna Milenova (Orca Therapeutics) was honored with the 1st ESGCT Best Abstract Award.